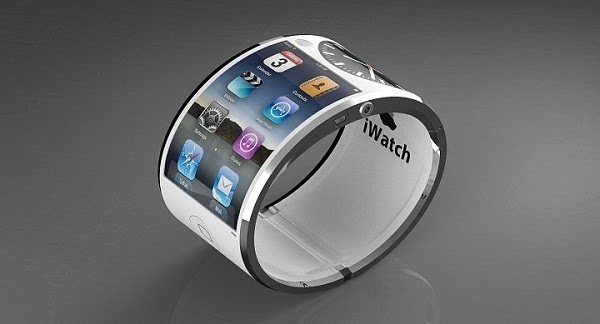 It is rumored that Apple will soon be releasing an iWatch along with its new iPhone. We have already had a look at iOS 8 and OS X Yosemite at the Apple’s Worldwide Developer’s conference and now this is what Cupertino has in its hardware stores. After conducting research, it was concluded that in September, Apple might finally launch the two new devices. In September, the American giant might just release its iPhone-6 which is reported to be of 4.7 inch in size. There has also been a rumor that in the same time period, Apple might launch its 5.5 inch iPhone-6. Brian White from Cantor Fitzgerald noted that Apple is likely to launch the iWatch in September which will be available at an affordable price more like $200. However, a report suggested that the wearable will use a light emitting diode, curved and organic touch screen. The iWatch will be capable of recording data related to health such as the calories being consumed in a day, the oxygen levels of the blood, sleep activity and the glucose present in the blood. One of its features also includes the capability of allowing a user to read messages that have been sent to his/her iPhone. It should not be forgotten that we have been hearing about the launch of an iWatch for two years however, the device is soon to appear at press events. A report in February said that indeed work was being done to launch the new iWatch but its revelation should not be expected anytime soon. The report was mainly aimed at battery technologies but also said that the Cupertino, California giant has been trying to come up with new ideas to charge its smartwatch such as utilizing solar powered methods and wireless. The predictions that White made seem to be true at the same time that Apple will soon be launching two new iPhones. One will be a 4.7 inch handset and a slightly larger model which will be 5.5 inch in size. However, we cannot take the analyst’s word for it completely; we have to wait to see what Apple has in store. It was late last year when the CEO of the company, Tim Cook had said that they would be launching new product categories this year. However, as it is its practice, the company remains mum about its activities, yet it did go on a hiring spree this year in search of experts that could be helpful in making a smartwatch. So far, Samsung has managed to beat the technology giant into launching this new product line and several other companies have also launched their own versions. Nevertheless, Apple’s products may take longer, but are usually worth the wait and that’s what analysts and the public is counting on. Investors of the company are also anxious to see what the company would introduce as they have had some reservations about the future and success of the company. They will have to wait till September to see if Apple still has potential.